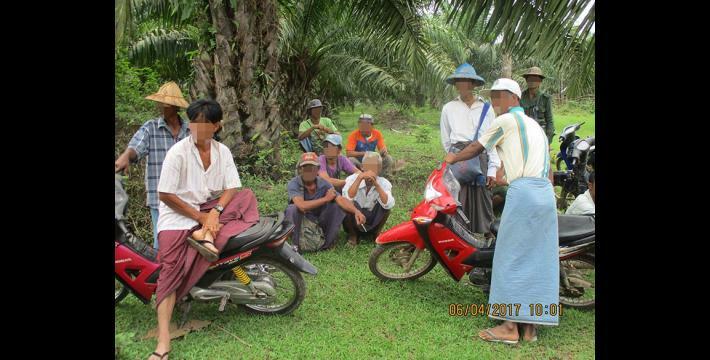 This Situation Update describes events occurring in Ta Naw Th’Ree Township, Mergui-Tavoy District in the early months of 2017, including land confiscation, villager situation, villager livelihood, education, healthcare, road construction, communication and travel. 325 acres of A--- villagers’ lands have been confiscated by the CKB Company in Ta Kel area, Ta Naw Th’Ree Township since 2002. The villagers were not consulted regarding these cases of land confiscation. 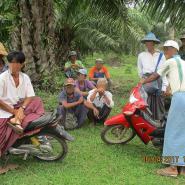 Therefore, affected land owners reported it to the Myanmar forestry department in order receive help. However, they have not received any reply. A road construction project was conducted by an organisation/group in B--- village, Ta Naw Th’Ree Township, Mergui-Tavoy District. Villagers’ plantation and garden were damaged due to the road construction. Therefore it impacted upon the villagers’ livelihood. The Moken people, also known as Salon are an Austronesian ethnic group living a semi-nomadic existence on the waters of southern Burma and Thailand. As a group they face growing poverty, marginalisation and discrimination, and many are stateless. There are issues relating to access to medical care, education and employment and recent immigration restrictions have also infringed upon their traditional livelihood. P’doh is a title meaning ‘governor’ or ‘minister’ within the government or military. All conversion estimates for the kyat in this report are based on the July 18 2017 official market rate of 1366 kyat to US $1. More information is currently unavailable. KHRG is currently is undergoing a process of clarification however it is highly likely in this context the term community development term to a company.